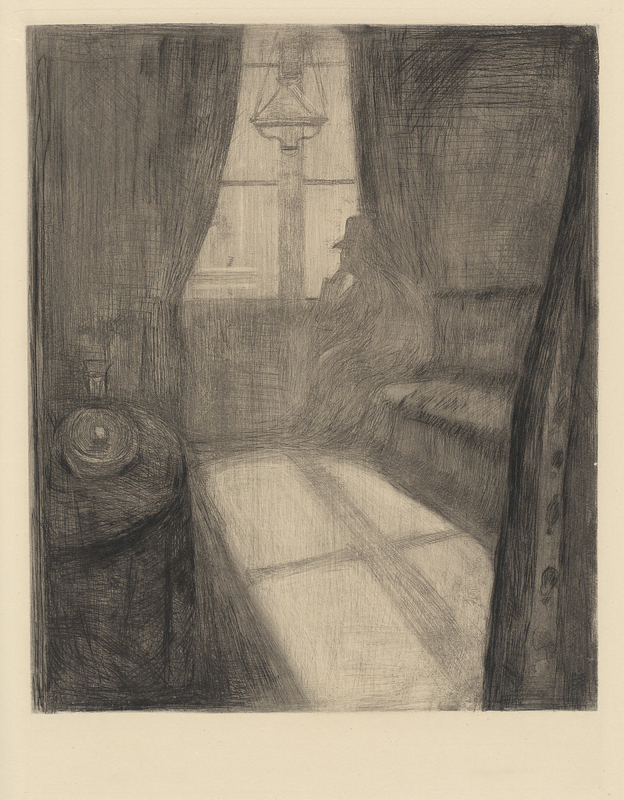 The Darker Side of Light: Arts of Privacy, 1850-1900 draws the visitor into the intimate alcoves of Paris, London, and Berlin—a private world characterized by contemplative and melancholy subjects. The Darker Side of Light presents work one imagines being unveiled in the confines of the smoky interiors of a collector’s home or an artist’s studio. 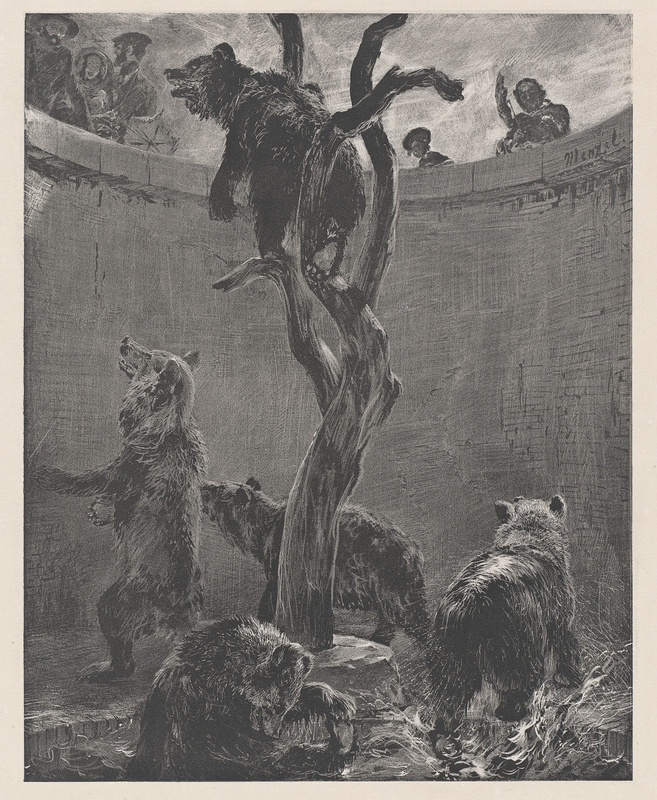 This was art for those who kept their prints and drawings under wraps, compiled in albums and portfolios; who stored bronze medals in cabinets, set a statuette on a table in a corner, or mounted it above the shelves in the stillness of the library. Such works of art were not an evident part of one’s day-to-day environment, like a picture on the parlor wall. Rather, they were subject to more purposeful study on chosen occasions, much like taking a book down from the shelf for quiet enjoyment. 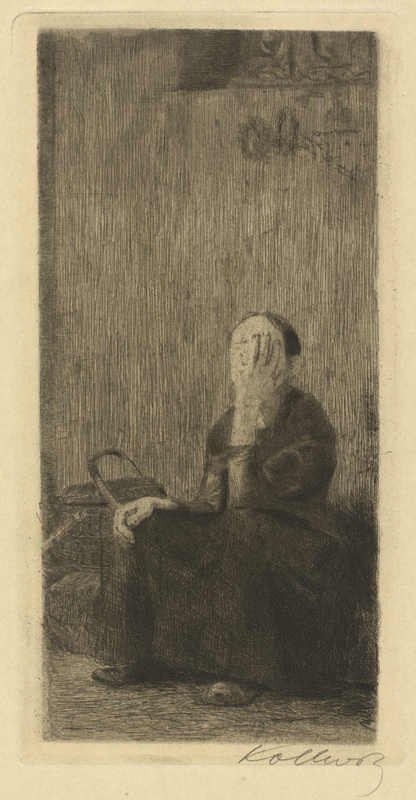 The exhibition explores the appeal of a European print collector’s cabinet, and the intellectual pursuits and techniques of artists in the late nineteenth-century. While much of the art from this period is often associated with light—impressionist depictions of parks and cityscapes, or the buoyant life of cafés and brasseries—there was another side, a darker side, to public life in Paris at this time. 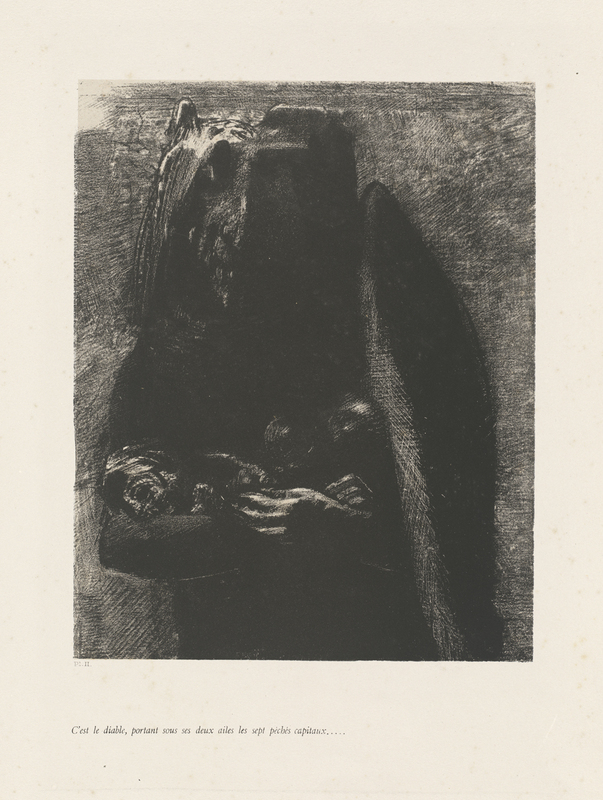 This exhibition investigates the dream-like and often enigmatic subjects of artists such as Félix Bracquemond, Victor Hugo, Edvard Munch, James McNeill Whistler, and Odilon Redon. 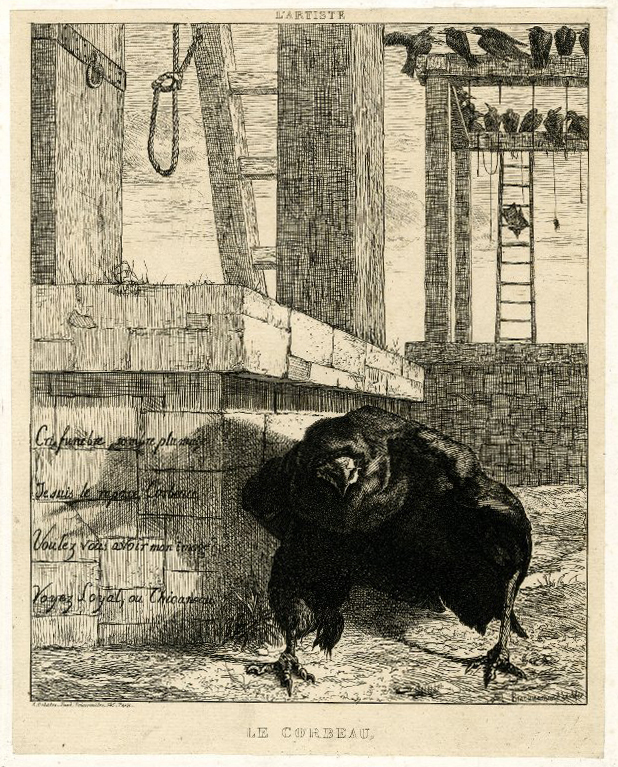 The selected works share the dark naturalism and rebelliousness of the writings of Charles Baudelaire and Edgar Allan Poe, among other literary figures of the time. 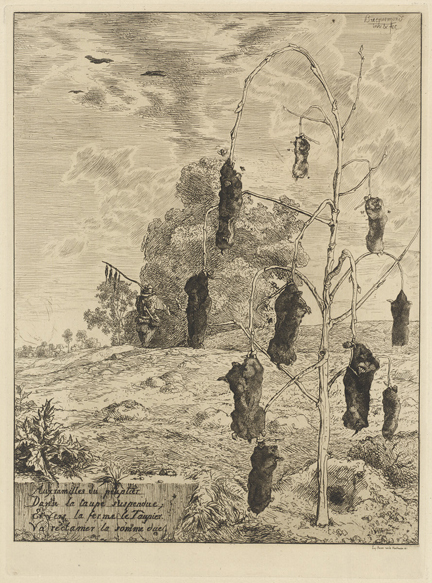 The revival of the etching technique during this period is particularly evident in this installation. 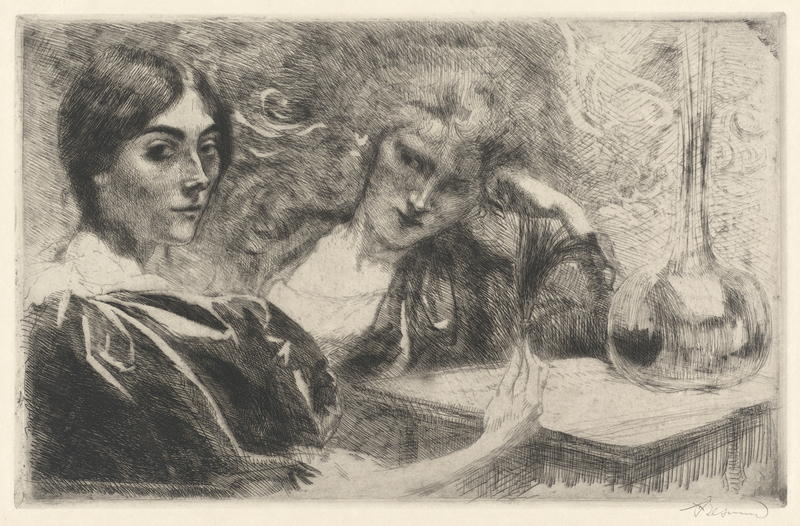 According to Baudelaire, etching compelled an artist to express the most intimate degrees of self-revelation. 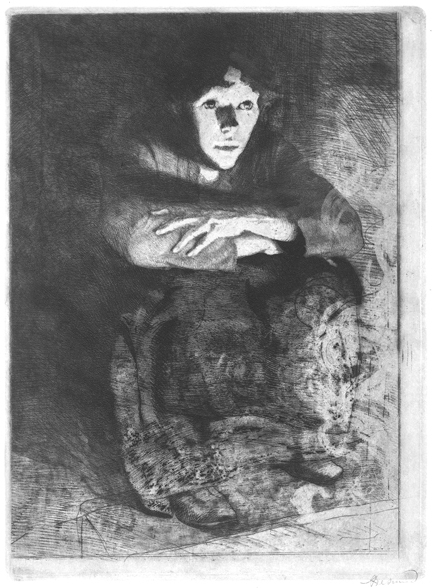 Not least because of its exploratory latitudes, the etching medium drew attention from many different camps: academic painters, realists, impressionists, and symbolists alike, and became an arena for opposing styles and schools of thought. The exhibition centers mainly on art from France and Germany, but also includes works by artists in Britain, Belgium, the United States, and Norway. 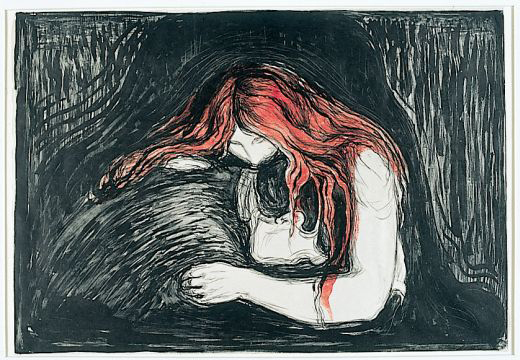 More than 120 works on paper are featured, primarily prints, but drawings, illustrated books and portfolios, as well as several small sculptures are also featured. Peter Parshall, Curator of Old Master Prints at the National Gallery in Washington, D.C., curated the exhibition, and the vast majority of these objects were drawn from the National Gallery’s own collection. A catalogue offered in conjunction with the exhibition features four fully illustrated essays that make original contributions to the scholarship of late nineteenth-century art and collecting. The exhibition will be on view at the Hammer Museum from April 5 through June 28, 2009. It then travels to the National Gallery of Art, October 1, 2009 through January 18, 2010 and culminates at the Smart Museum of Art at the University of Chicago, February 11 through June 10, 2010.